Yes you read that correctly four bedrooms for under $400,000! 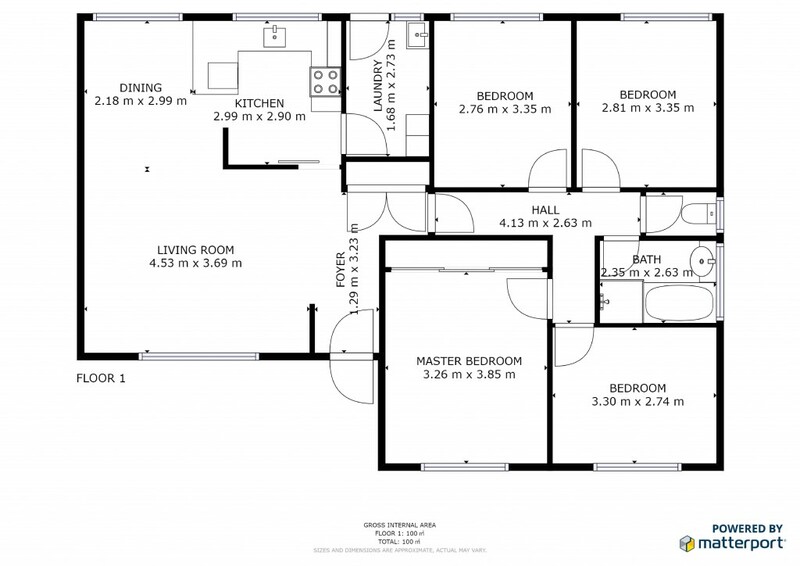 Upon entering this home you will find a practical layout with the living area and the kitchen down one end and the bedrooms and bathroom down the other. The L shaped lounge and dining room offers a natural gas wall heater and the kitchen sink overlooks the back yard. There's built-in robes to the bedrooms, the bathroom offers a modern finish and there's a separate toilet. Drive through single garage and out the back is a double lock up colourbond shed. Inspections can be arranged for this home by calling 63600300.